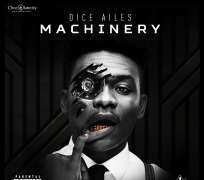 The very promising and versatile Chocolate Cityartiste, Dice Ailes ends 2015 on a high as he releases a dance instructional video to his recently released club bang, 'Machinery'. Since its release, the 'Machinery fever' has quickly been infecting the airwaves and club playlists and it has been tagged as having the potential to be one of the songs of 2016 upon the release of it's official video in the coming weeks. It pretty much seems like it is Dice's season already!